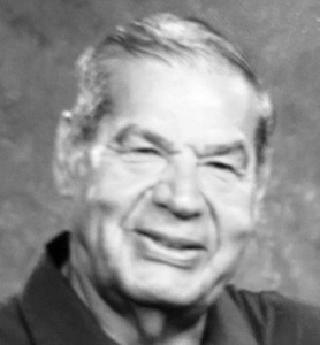 ANDOL - Paul F. May 9, 2017, beloved husband of the late Mary M. (nee Maul) Andol; son of the late John and Leona Andol; dearest father of Margaret M. (Glenn) Fullone, Paul J. (Vicki), Raymond F., Michelle M. (Richard) Staufenberger, Michael P. (Jenelle) and Mary M. Andol; loving grandfather of Christopher, Joseph, Timothy, Cody, Rebecca and Alexa; great-grandfather of Andrew, Alexia and Caia; dear brother of Delores (Fred) Paschka, Richard (Janet) Andol and the late Katherine (Paul) Balough, late Leo (Joan), late John (Mildred), late Raymond, late William (Marie) and late Shirley (Walter) Zak. Family and friends are invited to attend a Mass of Christian Burial Thursday at 9:30 AM at St. Martin of Tours Church, 1140 Abbott Rd., Buffalo. Following the Mass, Paul will be laid to rest in St. Matthew's Cemetery with his beloved wife Mary on their 60th wedding anniversary. He was retired from Ford Motor Company, Woodlawn Stamping Plant and was employed in the Welder Repair Dept. He also served on Ford's Fire Brigade. Paul was a member of UAW Local No. 897 and was a founding member of VFW Post No. 8113. Arrangements entrusted to REDDINGTON FUNERAL HOME.